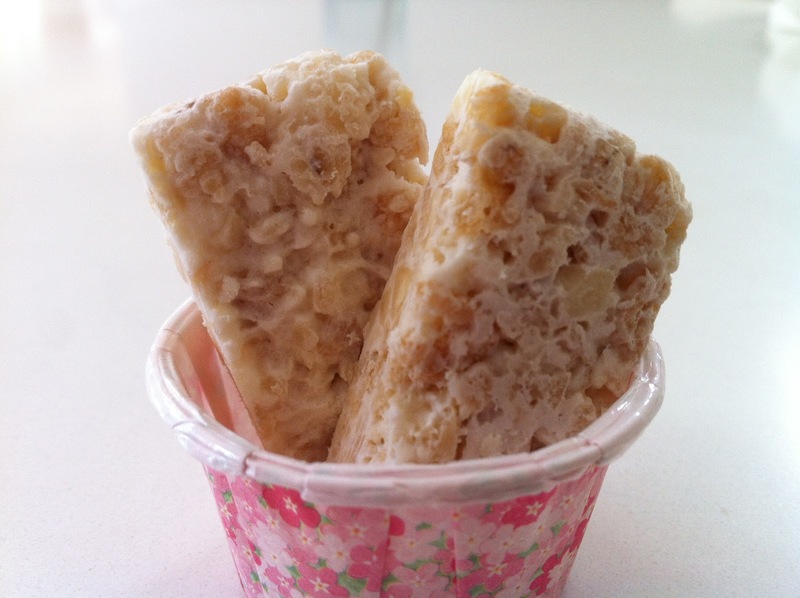 rice krispie treats | what is clara eating today? another birthday party at clara’s school today… but the treat the boys were bringing were rice krispie treats. we made them for clara before but have forgotten all about it… i was glad to dig up the recipe and just make it in a couple of minutes and be done for the night! shape the mixture to a rectangular shape and place it on a parchment paper and place in the freezer. when the shape is set after about an hour, cut into two pieces (each piece is one serving), transfer to freezer friendly container and keep in freezer until ready to serve. Let it sit in room temperature for about 5-10 minutes before serving.